While browsing the vast collection of lighting here on Manhattan Home Design and elsewhere on the web, you may find yourself pondering why the Arco lamp is so popular and what use is owning a gigantic lamp. This is a fair consideration to come upon, as a home should be furnished with functional pieces first and those that simply decorate second. Our Arco lamp replica is no exception to this rule and you will find that owning one is especially beneficial to homes, residences or places in which you spend a long amount of time. Check out the strong reasoning below as to why you need the Arco lamp replica, which should dispel any misgivings about buying it. The Arco lamp replica doesn’t just stand still and look pretty, it has ingenuity unparalleled by most other lamps and lighting systems, not even the ones that try to imitate its form. 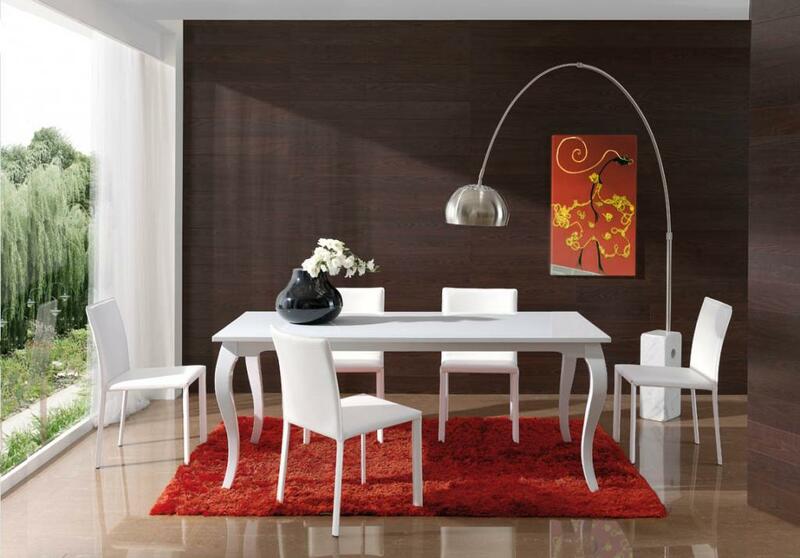 The Arco lamp provides light unlike most other lamps and even most floor lamps. It is a floor lamp that has the same capabilities of a desk lamp, except a desk lamp is much smaller and less noticeable while the Arco lamp is big and tall and easily garners attention. It can be positioned in a way to light up a table, or area that requires light beneath it, since it is arched. Thus, it can be hovered over a desk area in which you are reading and need extra light shining down. The lamp head is 8 feet away from its base. You won’t get this dual function with any other lamp: lighting up an area below it (which can be adjusted) while taking on the role of a sculpture-esque piece of art at the same time. The useful thing about lighting an area below the bulb of the lamp, is that the lamp itself does not need to come close to the place that requires lighting, ie a table, chair, desk, etc. As the Arco lamp is an arched floor lamp, its base can stand a few feet away from the actual head, so two pieces of furniture, the lamp and a chair, for example, are not scrunched up together. You know you’re in good hands when a celebrated piece of furniture was designed by highly-esteemed architects. The inventors behind the Arco lamp were Achille Castiglioini and his brother Pier, who were trained as architects and put together the final construction of the Arco lamp in 1962. The Castiglioni approached each project with this philosophy: a designer’s task is to solve problems within anything he or she may be creating, problems that the consumer may not necessarily know about. This was quite a successful approach to take, as the Casiglionis have produced over 150 products, some of which are in mass production till this very day. 14 of the Castiglioni designs are on display in the MoMA. As for the problem solving of the Arco lamp: the Castiglionis designed it with everything from its shape, to its height, to its base in mind. 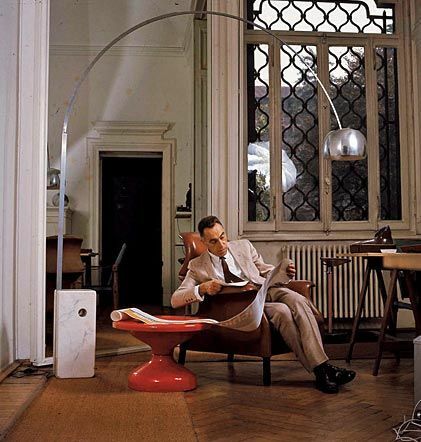 Given that the Arco lamp weighs a staggering 80 pounds, Achille Castiglioni sought to create a practical way of carrying the lamp without putting too much strain on the body. Thus, the tunneled hole in the base was added—it too has a purpose; it was designed to fit a broomstick inside the base as a means for lifting the Arco lamp. A lodged broomstick can make the lamp more mobile as two people can lift it at both sides. The Arco lamp replica is one arched floor lamp that needs no complicated wiring. There is only one plug on the back of the bottom of the base. That means there’s no more hassling to try to get the lights to turn on with an unattractive web of wiring.